Download the full text, or download individual chapters by theme or region in the right-hand column. 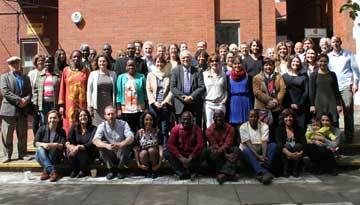 Read the global press release and others from Africa, Asia and Europe. Read revealing case studies from around the world on the Minority Voices Newsroom. This year’s edition of State of the World’s Minorities and Indigenous Peoples explores the many challenges communities face in urban areas, from segregation and lack of services to targeted violence and exclusion. Nevertheless, the volume also includes numerous cases of minorities and indigenous peoples achieving better social and political outcomes for themselves in cities, as well as examples of the substantial benefits their inclusion can bring to the entire urban population. Global analysis of the particular barriers confronting minorities and indigenous peoples in cities, including segregation, gang violence, service exclusion, low quality housing and other issues. Detailed thematic chapters exploring the implications of urbanization for minority and indigenous communities, including political participation, gender equality, sectarian conflict, indigenous identity and legal protections. Case studies from minorities and indigenous communities from across the world, including inspiring success stories and positive contributions. Interviews and case studies from minorities and indigenous communities, including examples of grassroots organizations working to improve their protection and representation. Overviews of the human rights context for minorities and indigenous peoples in every major world region. 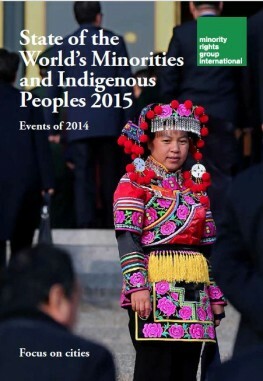 Peoples under Threat 2015 – MRG’s unique statistical analysis and ranking of the vulnerability of minorities and indigenous peoples worldwide. This edition is an essential resource for activists, urban planners, policy makers, researchers, media representatives and anyone interested in the current situation of minorities and indigenous peoples across the world.